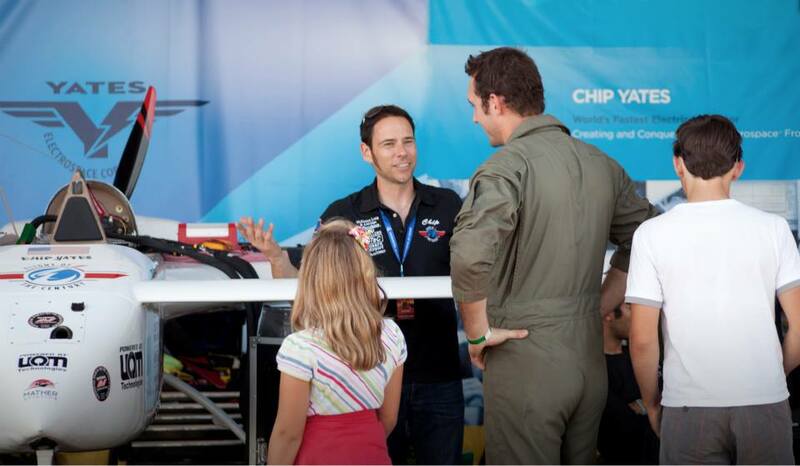 Chip Yates, a brand new pilot who last week set the world speed record of 202.6 mph for electric aircraft using a powerplant he designed, will reveal today in an 11:15 a.m. presentation at Innovation Hangar North what happened when he was forced to make a dead-stick landing at the conclusion of that record-setting flight. Yet even more dramatic than the account of that emergency is Yates’ own story, that of a Boeing Company executive who left his job, took up motorcycle racing, developed the world’s fastest electric-powered motorcycle, and improbably two months ago set out to earn his pilot certificate and create the electric-powered Rutan Long-EZ, in which he set the world’s electric aircraft speed record on July 19. Yates left his job as a Boeing patent executive in 2003 to start a government contracting business, and took up amateur motorcycle racing, entering his first race in 2007 at age 36. In 2009 he turned pro, racing in the AMA Pro Racing series and competing in the Superbike World Championships, before a crash broke his pelvis and forced him from competition. 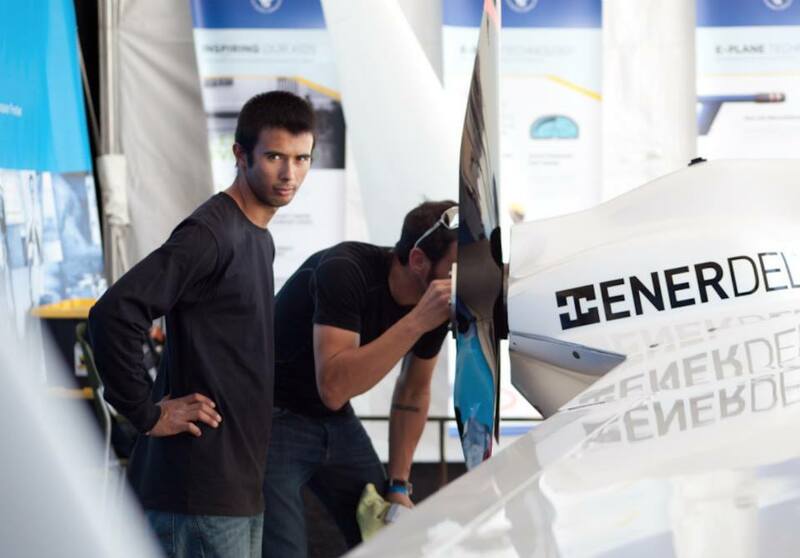 While recuperating he decided to design and build an electric motorcycle for the TTXGP non-carbon fuel motorcycle racing competition. But the 250-hp machine he built so far outclassed the rest of the entrants that race organizers banned his machine. Undeterred, he entered the battery-powered cycle in a pair of conventional motorcycle competitions, earning a spot on the podium in each. He subsequently set eight world records for electric cycles on the Bonneville Salt Flats, including the world’s electric motorcycle speed record of more than 200 mph, as well as winning the famed Pike’s Peak International Hill Climb. 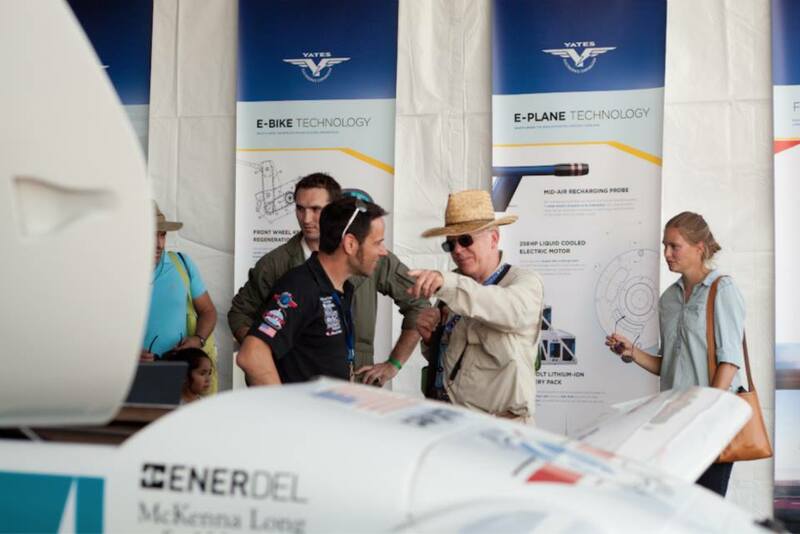 With no more cycle world challenges to conquer, earlier this year Yates decided to bring the battery technology and controlling software he and his team developed to aviation under the banner of the Flight of the Century company. “I was not a pilot, I had never logged one hour,” Yates said. He bought a Long-EZ this past May, and over the next two months converted it to electric power, using the batteries from his motorcycle, while he worked on his pilot certificate, getting assistance from flight instructor Tim Reynolds and fabricator Chris Parker. The aircraft has a liquid-cooled 258-hp electric motor producing 400 foot-pounds of torque, driving a custom Catto three-bladed carbon propeller, and equipped with thrust reverse, propeller kinetic energy recovery system (KERS) regeneration, and a 453-volt DC lithium-ion polymer battery pack capable of 600-amp continuous discharge rates. Yates chose Inyokern Airport, an old World War II facility adjacent to naval air weapons station China Lake, as his headquarters. On July 18 Yates flew the battery-powered Long-EZ for the first time-his first flight in a canard aircraft. The following day, with assistance from radar tracking at the naval air weapons station, he set the world record. In-cockpit and chase plane video captured the entire flight, most of which has been posted online. Yates knew the batteries had taken a good deal of abuse from their time in his motorcycle, and one of the batteries failed near the conclusion of the flight, forcing him to make a dead-stick landing. The audio and video of those final moments have not been seen by the public. In his presentation today Yates will show the dramatic conclusion of the flight for the first time. 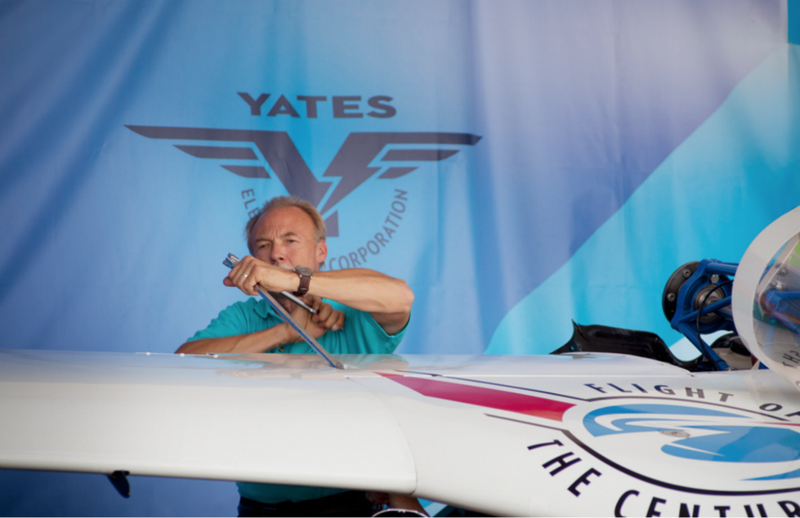 Yates will also talk about his next electric aircraft project, supported by the Lindbergh Foundation, in which he will build an electric battery-powered aircraft with a 100-foot wingspan, and in 2014 he plans to retrace Lindbergh’s route across the Atlantic at the same altitude and with at least the same speed. 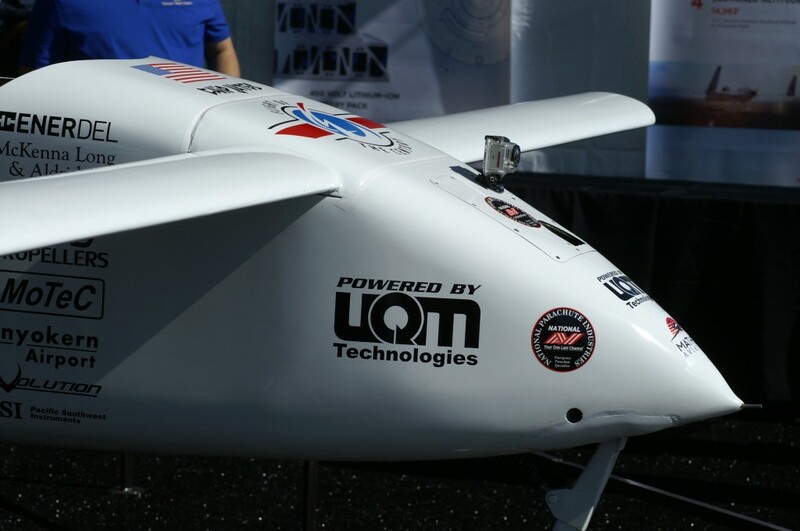 The electric aircraft will be “refueled” in flight five times by UAVs with trailing tethers that will recharge the aircraft’s batteries. How has Yates managed to get so far so fast in a field that has stymied so many electric power experts? “It’s the software we developed that makes it work,” he said. For example, both the motorcycle and airplane engines can take otherwise wasted energy and put it back in the battery. If drag is put on the propeller during descent, for example, it recharges the battery cells. 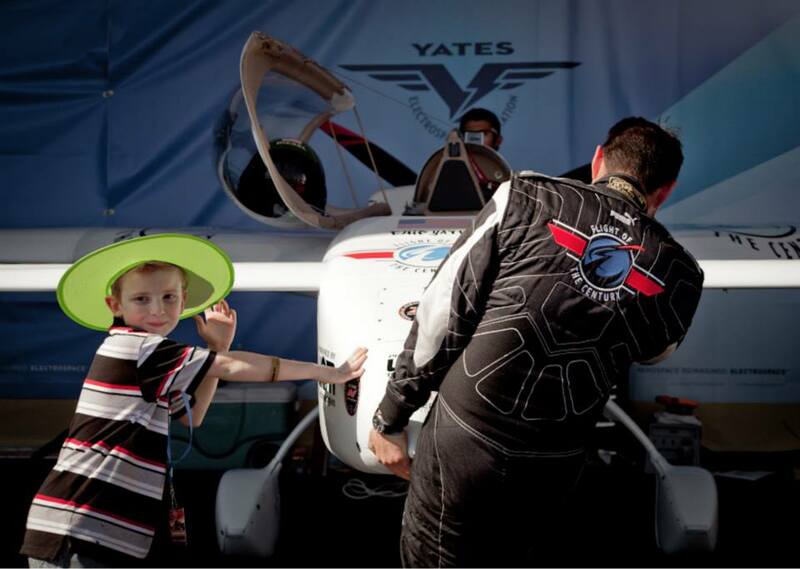 Given that he’s a newly minted pilot, albeit a world record-setting one, it’s not surprising this is Yates’ first visit to Oshkosh. “I’ve never seen anything like it in my life,” he said. “I’ve never been to a large gathering of people. I’m struck by the kindness of people, struck by the American patriotism I see here. I’m also impressed by the Australians and the Brits who traveled so many miles to be part of this. It’s humbling when someone comes from Australia and says, ‘We came to see you.’ We’ve been welcomed into aviation with open arms, not a negative word, and that’s very different from the motorcycle industry. 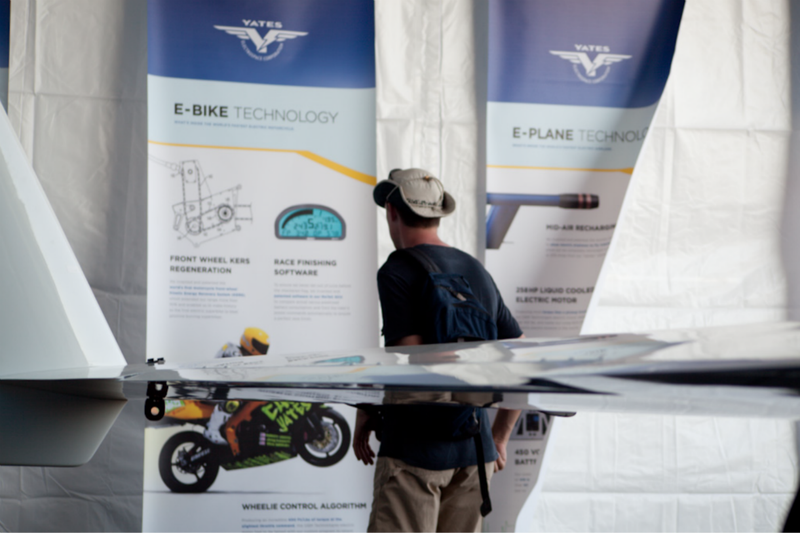 Yates’ record setting Long-EZ and electric motorcycle are both on display at Innovation Hangar South.